1. Stew a vegetarian chili that feeds a table of six with just five ingredients. Freeze the leftovers in muffin tins and separate the servings into baggies. When you are ready to defrost them, the smaller volumes will heat up a lot faster. Don’t forget to let your leftovers cool before freezing them so that you aren’t warming up the freezer. 2. 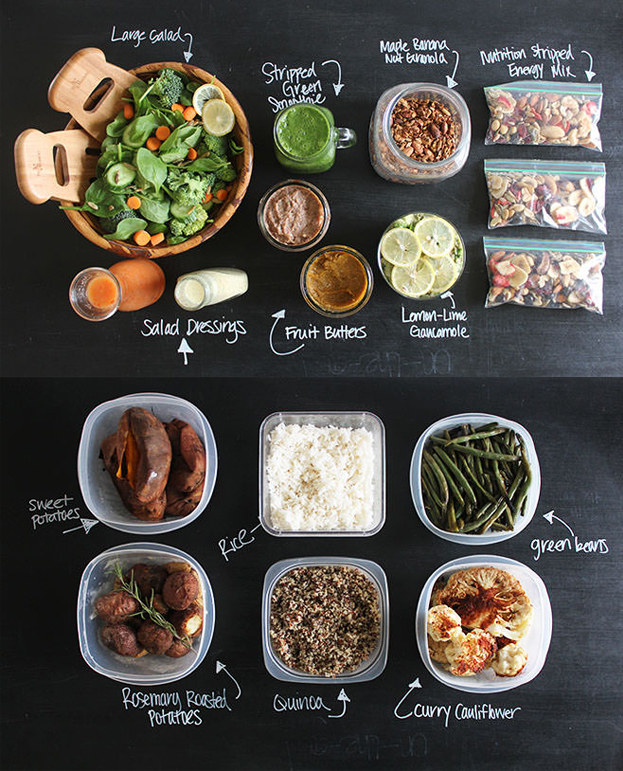 Build “meal components” if you want to prep breakfast, lunch, and dinner for the week on Sunday. Nutrition Stripped recommends cooking foods dry and adding sauces, dressings, or seasonings later to avoid making them soggy. 3. 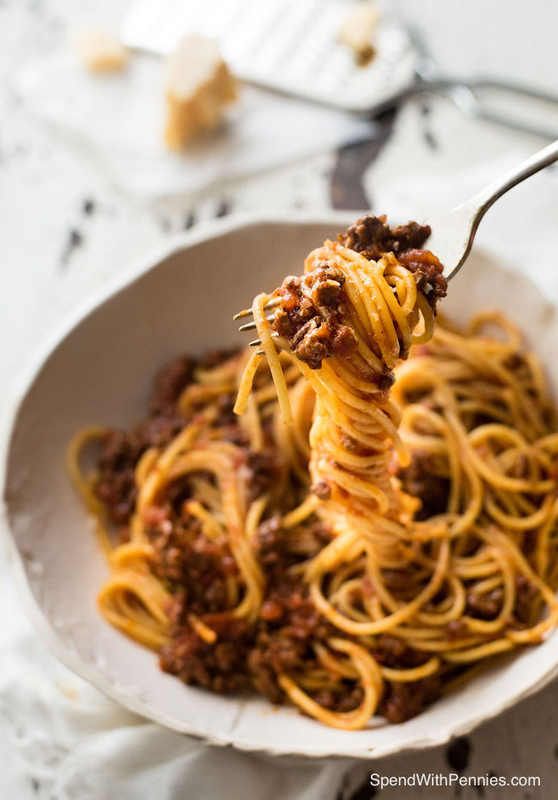 Slow-cook this Bolognese sauce and serve it over pasta or zoodles. The slow cooker is the crème de la crème of batch cooking. 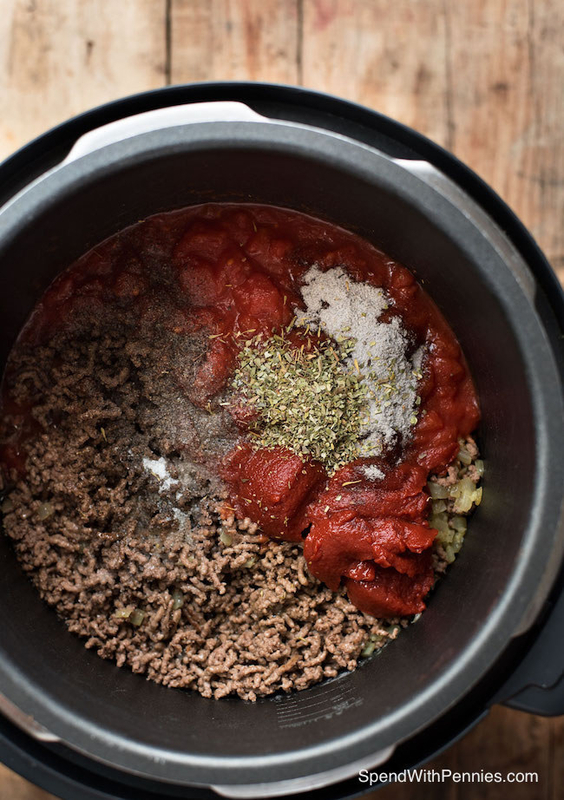 This Bolognese is legit, and even though it takes a few hours to cook, most of it happens in the slow cooker, which doesn’t require too much attention — plus it makes 10 servings and freezes well. Spiralize some zucchini if you want to pack in a few more veggies. See how to make it on Spend With Pennies. 4. Blend a week’s worth of green smoothies to get your morning greens without waking everyone up. This piña colada green smoothie from Hello Glow makes five servings. Pour them in mason jars, freeze them (see how here), and put one in the fridge before you go to sleep so it will defrost by the time you are zooming out the door. 5. Dump and bake this chicken fajita casserole for a meal that is kid-friendly and adult-healthy. This casserole from The Seasoned Mom is veggies, chicken, and quinoa so it’s a perfectly suitable option if you are in a time crunch but don’t want to resort to unhealthy options. You can either refrigerate the whole casserole dish and rewarm it in the oven, or separate into portions and refrigerate or freeze it. Get more casserole tips from 13 Smart Ways To Improve Any Classic Casserole Recipe.